Want to have unique cards this Valentine’s Day? 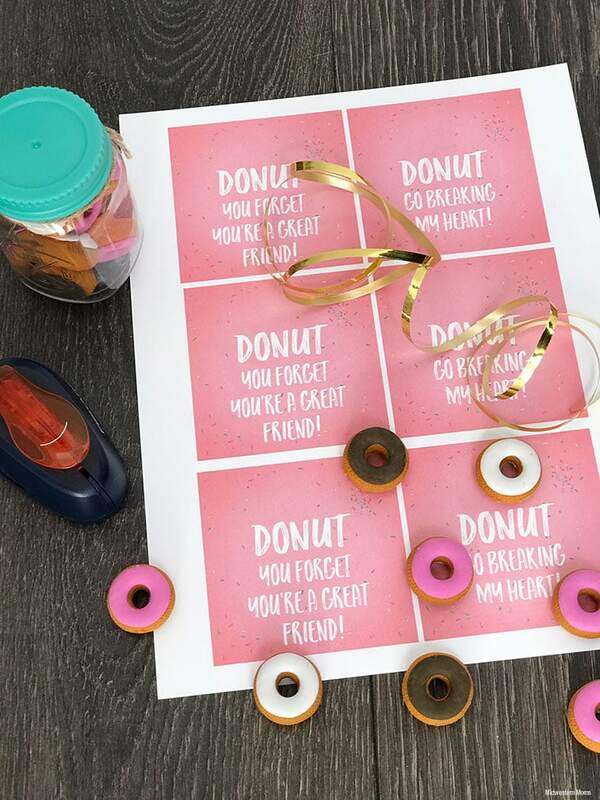 You donut want to miss these free printable donut valentines! 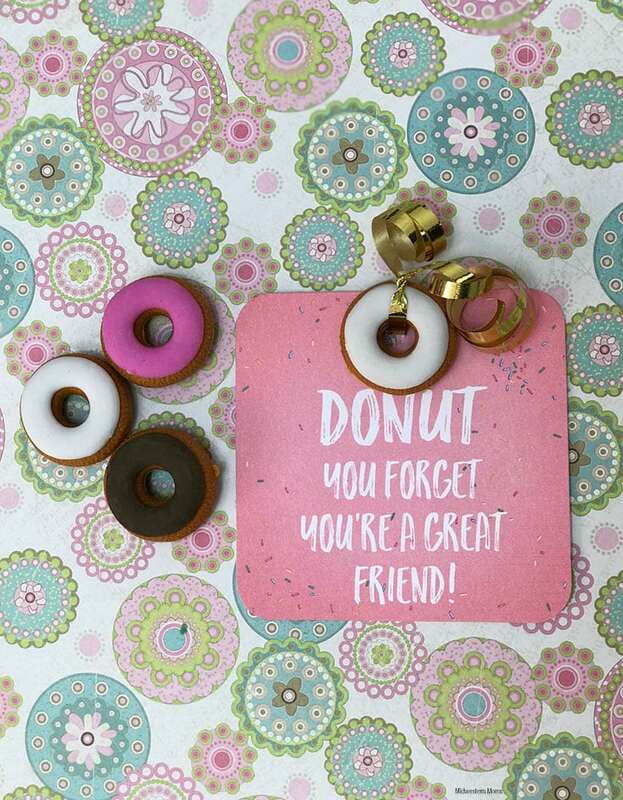 Pair the cards with adorable donut erasers. 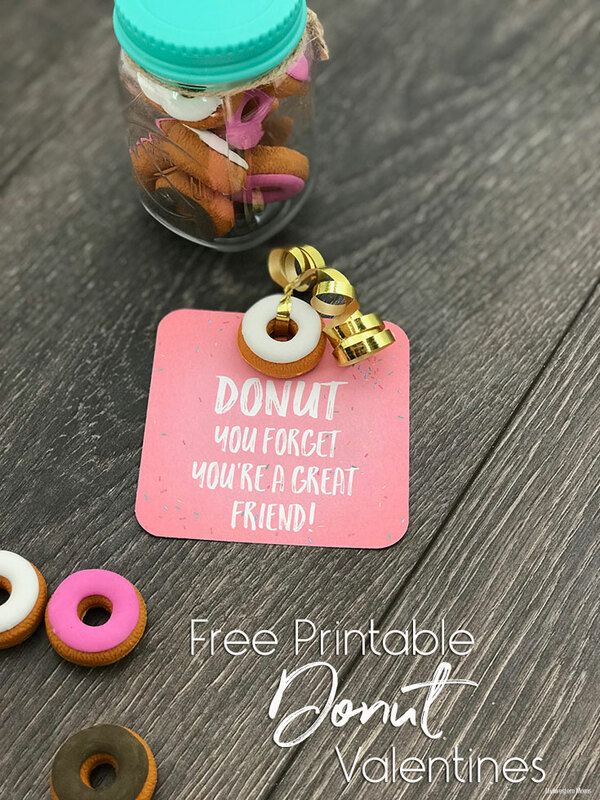 These are cute valentines cards you can easily print and add adorable donut erasers for a unique card. First, get your printable valentines cards at the bottom of this post. Simply enter your email and it will be sent to you to download. Second, print out your cards on the card stock. Print as many as you need. Third, cut out each valentine with your scissors. Then using the rounded corner punch, round off the corners of the valentines. If you don’t have a corner punch, then you do not need to do this part of the step. Fourth, write your to and from information on the back of the card. Fifth, using the hole punch, add a hole in the top in the center of the card. Using the gold ribbon, tie on a little donut eraser. Now you can hand out your adorable donut valentines!!! Here is where you can get your valentine’s day cards. Simply put your information in the box and an email will be sent to you where you can download the printable. Looking for more printable Valentines? Check out these Giraffe Valentines Cards.